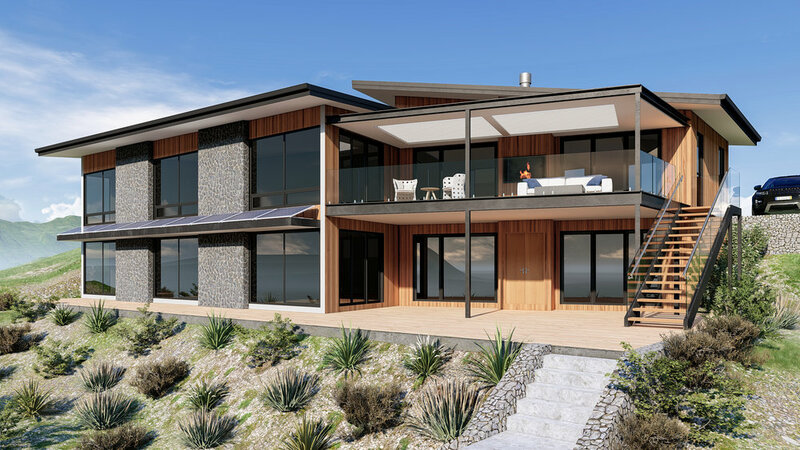 Continuing on what has been a great month so far, this week we worked with clients in both Australia and New Zealand to bring them the best in 3D Render and Visualisation. Take a look at some of our favorite projects. With the goal of creating a modern and inexpensive option that is also functional. 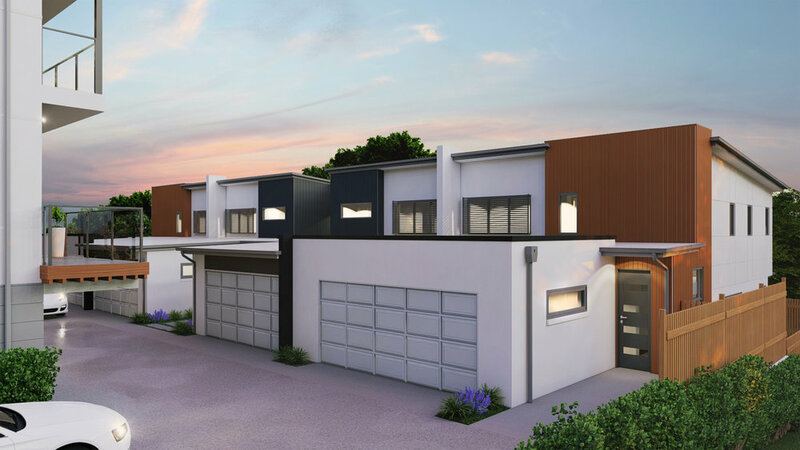 Our friends over at Bradwell Construction are creating this incredible townhouse project with plans to be built later this year. 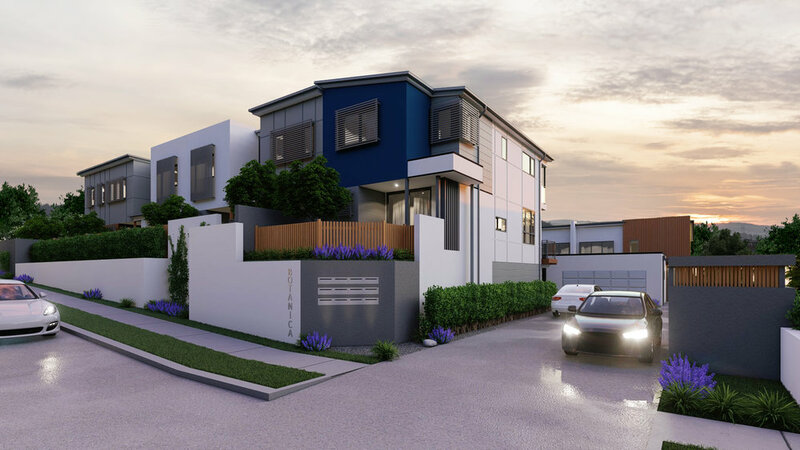 Located just 15 minutes inland from Surfers Paradise, our clients are looking to make way with the existing residential properties so they can build 10 individual townhouse dwellings. Size does vary from townhouse to townhouse, with units 1 - 6 having 2 bed and bathrooms and units 7 - 10 having 3 bed and bathrooms. All of the units will have an open living, kitchen and dining area as well as a double garage. Which is remarkable considering the space they have to work with. Each of the townhouses will also have small deck, backyard or balcony or a combination of the three for the larger townhouses. To get this project on to the market in the most efficient and effective way, Bradwell Construction got in contact and we were more than happy to help. 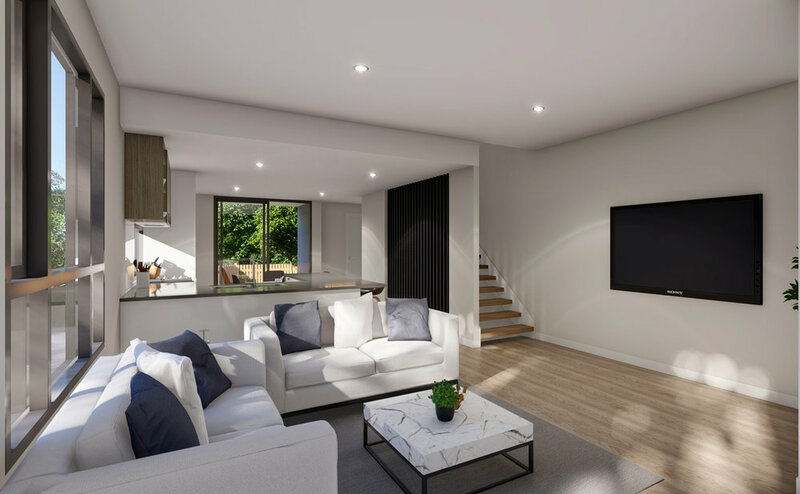 In doing so we provided them with an extensive range of 3D Renders, Videos and Floor Plans that take you through out the entire project. As seen above, we show the living area, kitchen, master bedroom and bathroom. 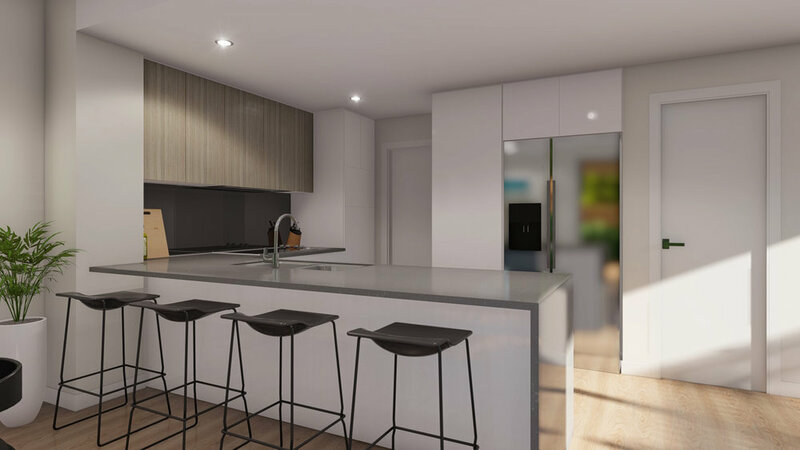 Additionally we provided Bradwell Constructions with a 2 minute 3D Walkthrough takes you through the front of project and into Unit 7 for a full view of one of the larger units. 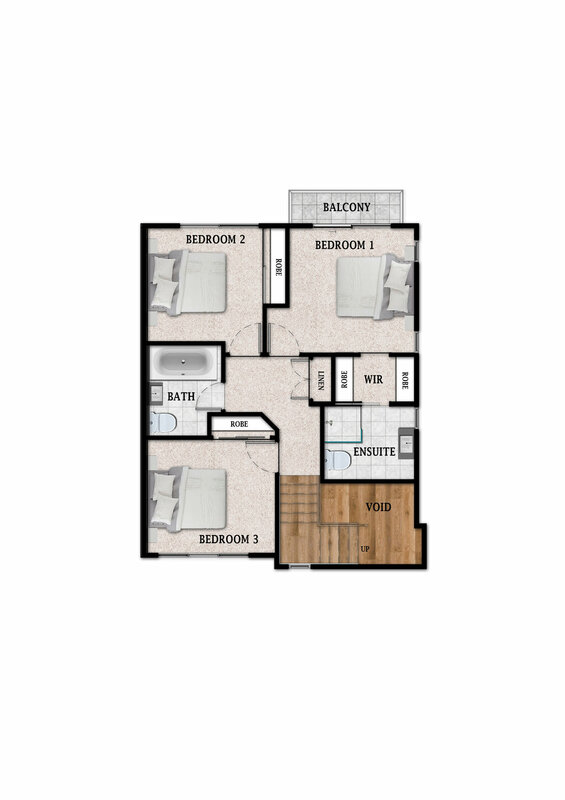 Finally we provided we provided our clients with these awesome 2D Color Floor plans that can provide even further insight into the future of this project and its end result for their potential clients. Take a look at this brand new office fit out our friends at KHID Interior Design have envisioned for their clients AMP Capital, a large multi national investment company that serves Australia, New Zealand, USA and many countries across Asia. With plans to be located in South Melbourne this new office will contain 5 meeting rooms, over 30 work stations and employee facilities. With the goal of creating an incredible space for AMP, our clients got in touch and we got working right away. 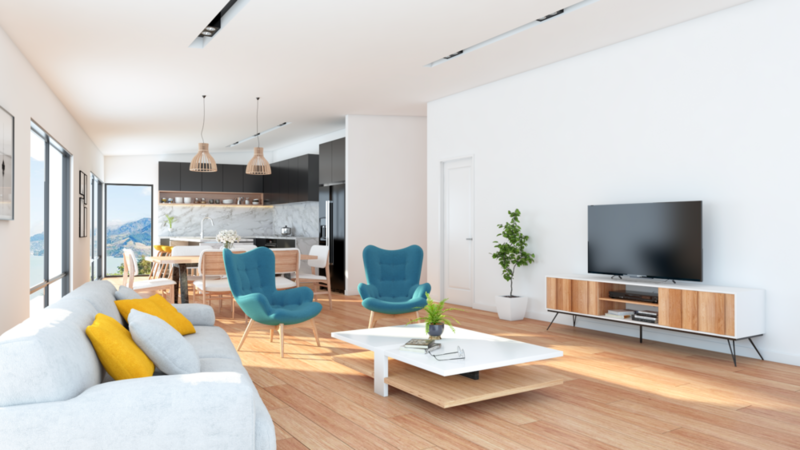 We provided them with a number 3D Interior Renders that really brings their project to life, showcasing the floor entrance and work stations.